Why suffer in the rising temperature when you can simply go for the air conditioners and save your day from scorching heat? 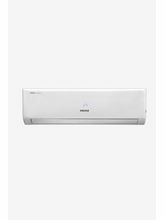 Infibeam has a wide assemblage of all kinds of Acs like split AC, window AC and so on. They are from the popular brands like Blue Star, Voltas, Samsung and Haier. So, get your Summer saviours now! In this age of global warming, struggling to beat the heat is a passé. The other seasons simply exist around summer that has become a guest that stays around all the 12-months. If not, it arrives without an intimation. Therefore, It is better to buy Air Conditioners to keep the summers at the door-steps or at least control its visits. After all, guests are amusing only as guests. Air Conditioners are the most sought after electronics products before Summer begins. The market is, today, is flooded with the best kinds of Air Conditioners that cater to the people from all walks of life. There are the portable ACs, Window ACs, Inverter ACs, and Split Air Conditioners, that help you combat the rising mercury. ACs from the most trusted brands like Bluestar, Haier, LG, Lloyd, Samsung, Panasonic, Voltas and Whirlpool are considered to be the best choices this year. Gone are those days when Air Conditioners were considered a Luxury. With the constantly rising mercury and the extended stay of summer, ACs have now become a necessity. Why even bother to go out in the Sun when you can simply order it with the most loved exercise of the decade i.e., Online shopping. 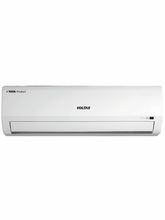 Infibeam is a reputed online e-commerce portal that provides a wide range of air conditioners from all top brands. Moreover, Infibeam also has ACs with varied range of capacities such as from 1.5, 1.6-1.9, 1, 2, and even less than 1 Ton. You can set a filter based on you requirement and choose your preferable option! at Best Prices Only on Infibeam! Not really sure about winter (Game of Thrones :P) whether it is coming or not but summer is surely around the corner. Wait, I guess it has always been. Gear up with the best ACs. But which one to get? Why worry when you have Infibeam? Infibeam's services are top-notch and trustworthy, as the e-store is flooded with a flurry of options for you to select from. On the website, you will find ACs categorized based of brands, their prices, and ratings. Take a look at each AC's specifications and compare them with the others. This will give you a better idea about all the ACs at once. There are ACs for indoors and outdoors you can fix them in homes, offices, shops, malls, or other places, whichever is your preference. 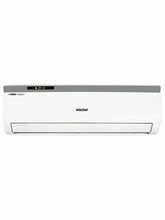 You can also go for an AC based on its capacity the higher the capacity, the most energy-saving it is. Since power consumption is an important factor, buying an AC online is more advantageous, because you get to thoroughly check and compare the energy efficiency of all ACs very easily. So, in case you are looking for one this Summer, then buy air conditioners online with Infibeam. Click away with your thumbs and be ready to welcome the guest!